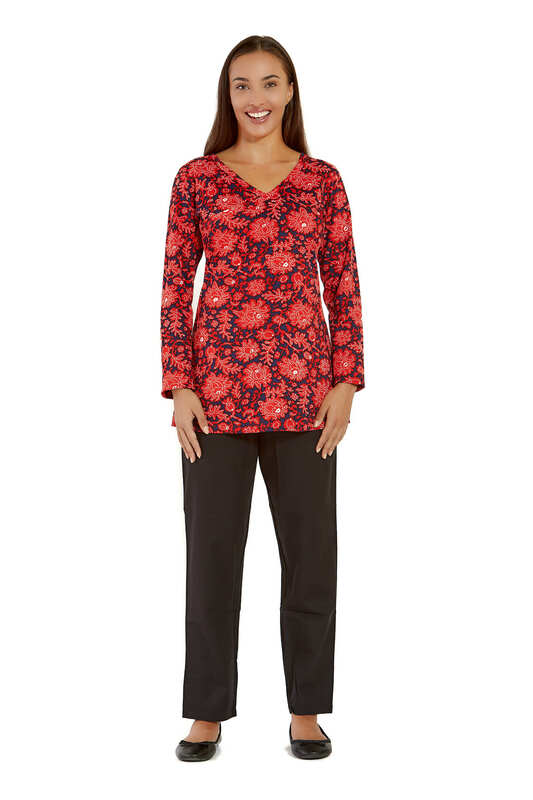 Meet Ingrid, the brightest new stretch cotton printed top from Rasaleela . 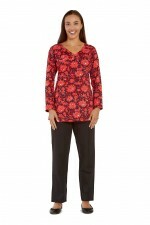 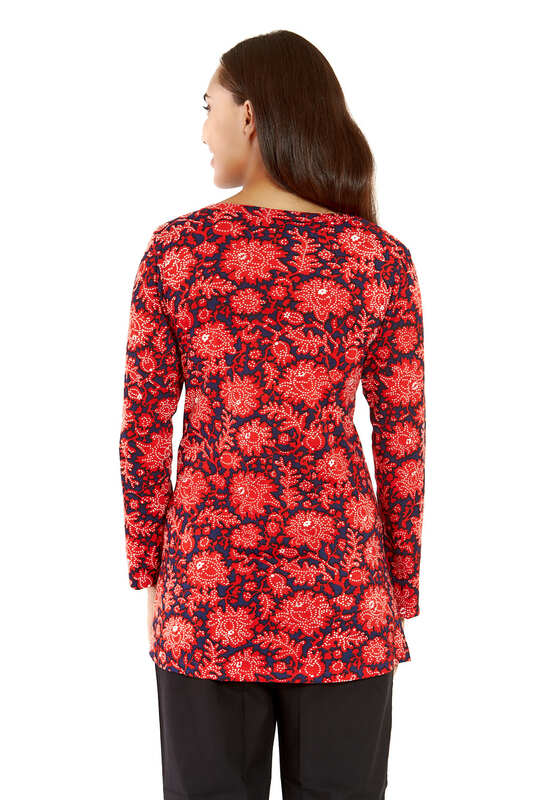 Ingrid comes in a gorgeous red and dark navy batik print . 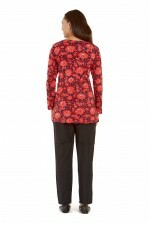 A clever faux wrap design with a double layer of fabric at the front , semi fitted with a flattering V neck and long sleeves makes the Ingrid top a go to winter wardrobe fave! From skinny leg jeans to leggings, tights, slight flare pants and boots , she's got you covered with her go to wardrobe appeal !